19 years old San Salvador beauty, Marcela Rivera has been crowned Miss Asia Pacific World El Salvador 2012 in an event held on 14th October in the Auditorium Fepade, Antigua Cuscatlan, La Libertad, El Salvador during the Reinado de El Salvador 2011-2012 grand finale. Marcela beating out 20 other contestants and she really looks good and awesome deserving the title. Marcela is an official representative of El Salvador in Miss Asia Pacific World 2012. Florima Treiber of France will Crown her successor at the end of the beauty pageant. 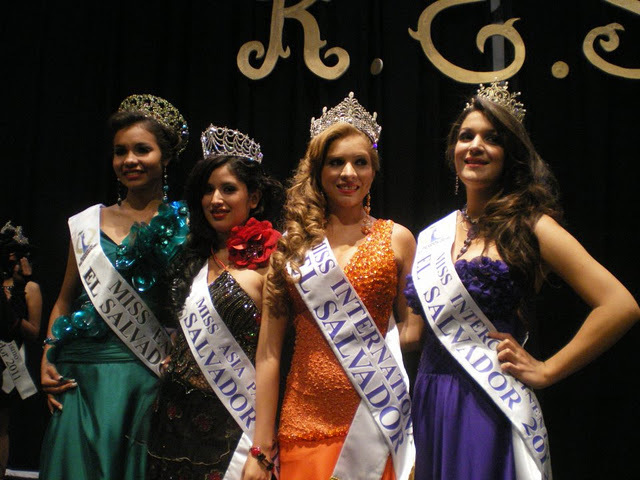 Yaritza Rivera has been crowned as Miss Earth El Salvador and she will represent El Salvador at Miss Earth 2012. while Marlin Ramirez has been chosen as Miss International El Salvador title and she will compete in Miss International 2012.